Are you making the most out of your music? Audiojungle wants your catchy music and songs to license to media buyers. Talented music composers and songwriters are cashing in on the media buying boom on the web and so should you. In my last article, I talked about how you should explore and find new ways to earn money from your music, by way of licensing your creative work for commercial usage. Then reinvest back into yourself and your career going forward. You could then easily afford to pay for that professional video shoot, have your songs professionally edited and mastered, buy yourself some studio time or add essential items to your home studio. AudioJungle is a part of the Envato Marketplaces that allows creative people the chance to sell their creations direct to the public and companies by way of a Regular and Extended license for use in their own projects. Envato takes care of all the legal stuff for you concerning the usage of your music or songs, and a license can be sold many times over for the same creative work. From the research I have done, it seems your creative works can be used for backing music for YouTube videos, websites, software, video games, and much more. 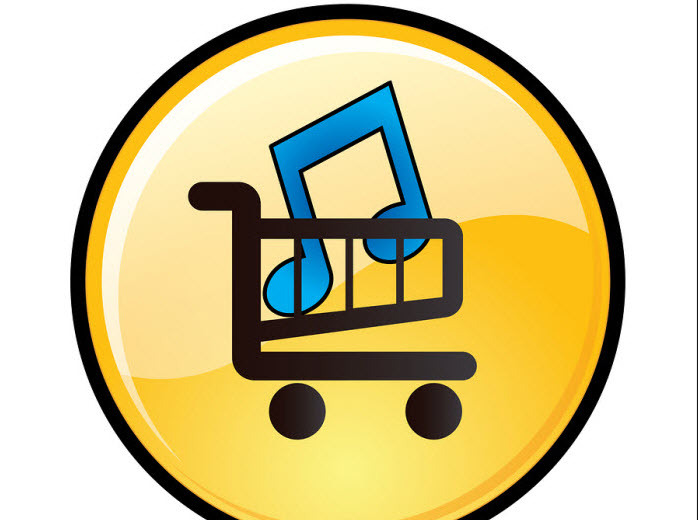 What the license buyer cannot do is use your music track for backing music for their own lyrics. **Example **: they cannot add lyrics to an audio track and sell it on iTunes or other compatible music download sites. The Nitty Gritty Issues – Sell Non-Exclusive or Exclusive? When you sign-up to sell your creative works on Audiojungle or any other marketplace on Envato, you have the option to sell exclusively through them or not. If you chose to sell exclusively, then your earnings will be substantially more, then non-exclusive. If you go f the r exclusive seller, Audiojungle will pay you between 50 – up to 70% of revenue earned on your creative works the %% is dependent on how popular your work is. For none exclusive authors, they will pay 33% of revenue earned. Personally, I would hop on the exclusive deal; it’s going to be less of a sorehead for you, not having to worry about other license types your work may be sold under elsewhere. How Much Could You Earn per License Sold? I mentioned above there are no limits to how many licenses you can sell for the same creative work… Once you upload your creative; it’s been reviewed and is for sale in the marketplace, there is no limit to how many times a license can be purchased for that particular creative. The average cost for high-quality audio creative’s seems to be around $17.00. Looking deeper into user profiles, sellers can have documented sales of over 30,000 + under their belt. However, some sellers do not allow their total sales to be publicly viewed in their profiles. What can be uploaded to Audiojungle? What About Your Intellectual Copyrights? Selling a license does not infringe on your copyrights for your original works, you retain all rights to your music. The license just permits buyers use of the creative in commercial projects within the boundaries permitted by the license granted to them. Everything you sell will be based on a royalty-free stock model with full copyright retention. The Rules, Who Can Sign-up and Sell Stuff? Anyone can sign-up and sell on Envato marketplaces; audio jungle is just one part of the selling experience offered. There are many other categories audio jungle is just one of their marketplaces. The only thing they insist on is: It’s original; you own it or have third party rights to sell it. 1. It must be your own creation. 2. You have the right to license the items you upload. 3. You have a license that grants you permission to resell any third-party assets included with your original creative. 4. It must be appropriate for commercial sale. 5. Audio Jungle has a requirement that its authors cannot register their music tracks with a performing rights organization (PRO). This requirement is so that buyers should not have to pay any further fees to a collecting society. The license sold is a royalty-free stock model. Once you upload your creative’s they are checked by Envato Marketplaces staff and priced based on the complexity of the item, it’s quality and its market value. Uploading does not mean your creative will be suitable for sale in the marketplace. Envato reviews every item before allowing your work to be approved for sale. Your earnings get paid into your Envato account, you can withdraw it via PayPal, Moneybookers/Skrill, SWIFT or Payoneer. It’s just a small part of the Envato marketplaces selling experience, you may know of theme forest one of the biggest providers for web developers selling WordPress themes, HTML templates and themes for other similar platforms. People flock to the Envato marketplaces because they are a trustworthy environment for buyers to purchase what they want and need. I don’t have any worries about recommending you sell, license your creative works on audiojungle.net you can rest assured you will feel safe and secure to do so, your creative works will be safe in their hands and protected from illegal downloads and usage. If you have a talent for producing music or catchy songs that are suitable for commercial usage, then you need to get selling. There is an ole lot of money to be earned from your talent other than chasing stardom and fame. You will not earn money from your creative if you don’t put time and effort into producing high-quality music suitable for commercial usage.